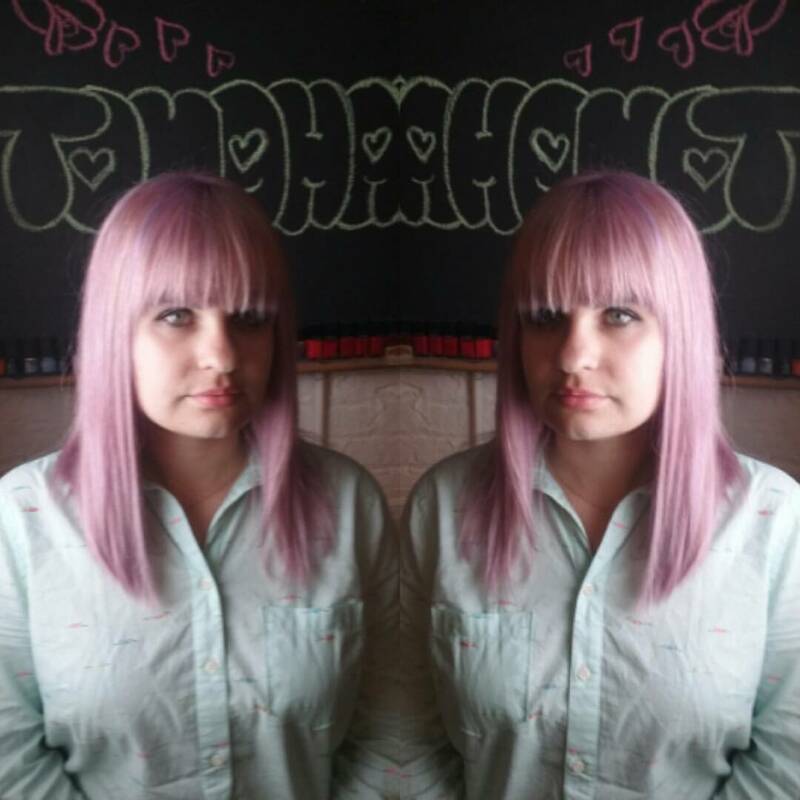 Maria Lina did an all over #doubleprocess to create this muted pink and violet color. 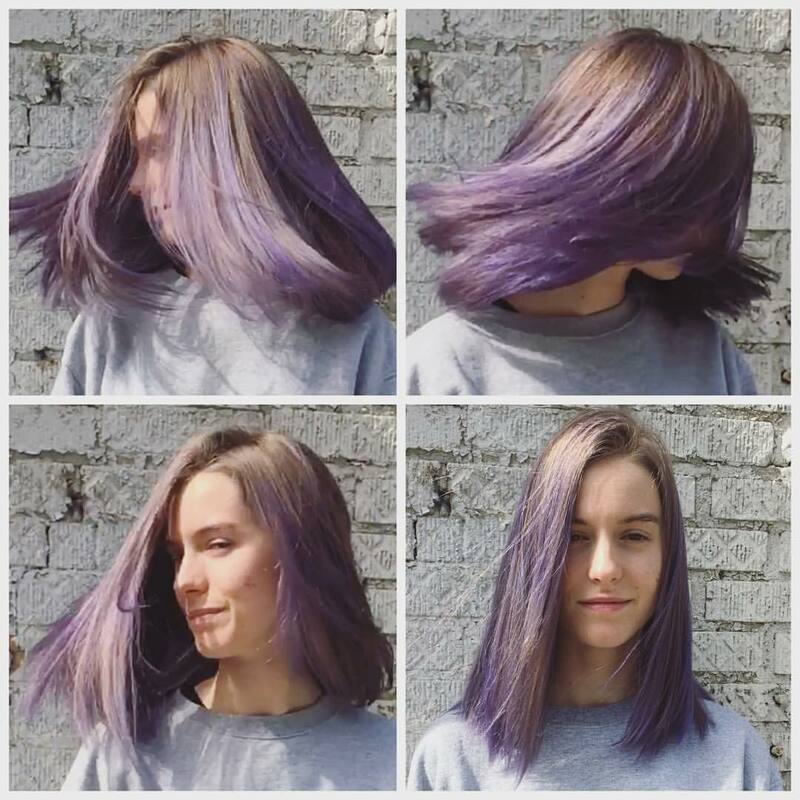 Kristin Jackson did a full head #balayage to create this multidimensional lavender. This hand painted technique is less maintenance than a double process. 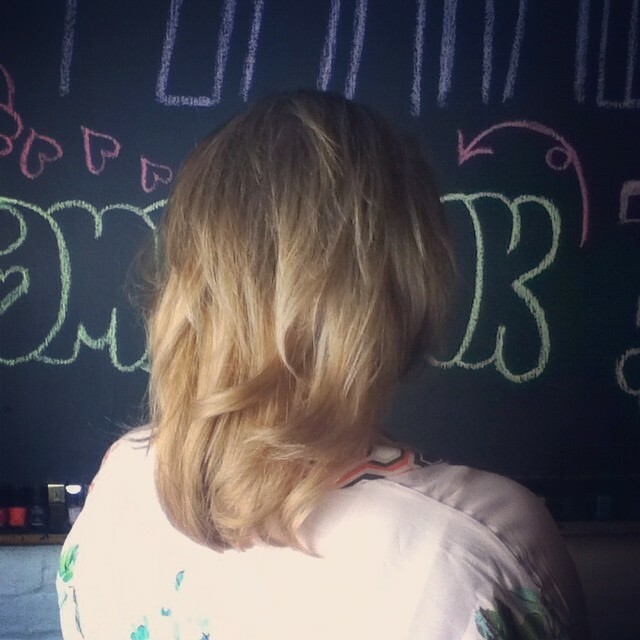 Cut and Color by Donna Rae full head #Balayage. 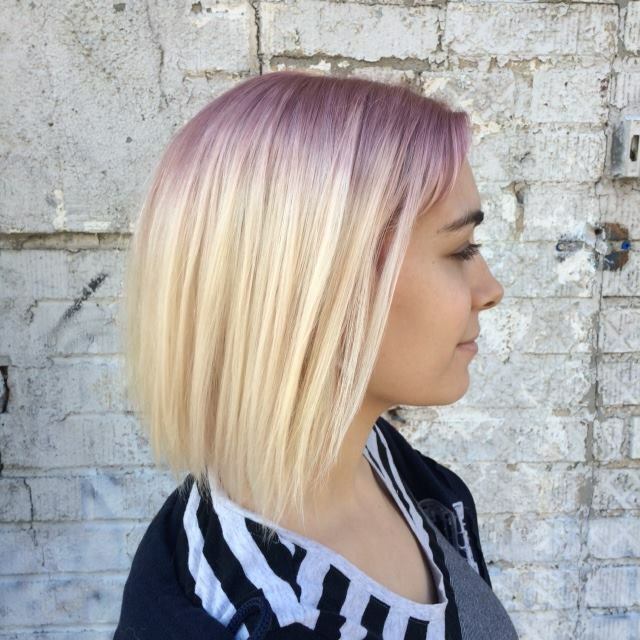 Soft and pale this color will grow out beautiful and natural with a less obvious regrowth line. 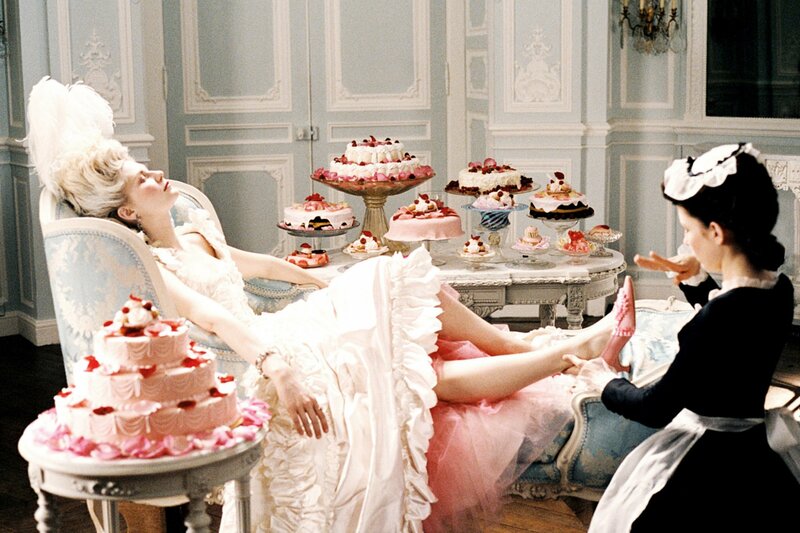 C’est si bon! It is so good! As always thank you for checking out our blog, like us on Facebook and check out our work and client selfies #tomahawksalon. We are appointment only. The best way to determine service, pricing and amount of time to make your hair dreams come true we advise booking a consult. Consults are free and can be seen by a stylist daily. 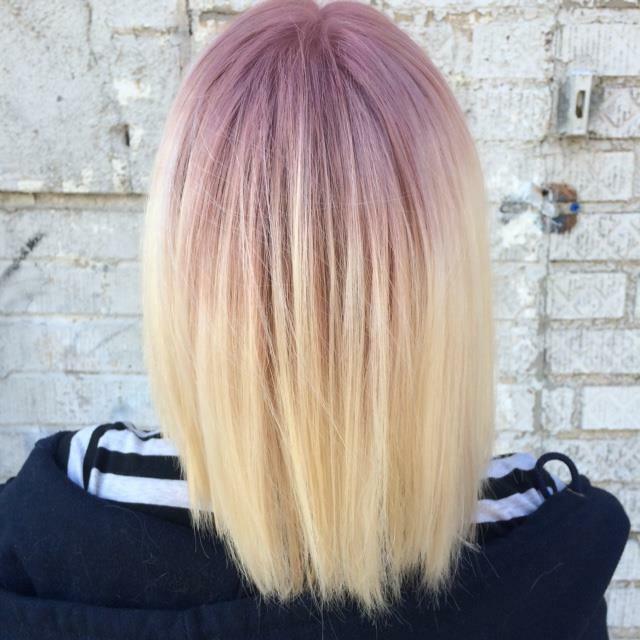 This entry was posted in Uncategorized and tagged balayage, blonde, bushwick, doubleprocess, fashion, greenpoint, hairinspo, hairsalon, highlights, nychair, olaplex, pinkhair, purplehair, redken, ridgewood, tomahawksalon, unicornhair, williamsburg. Bookmark the permalink.